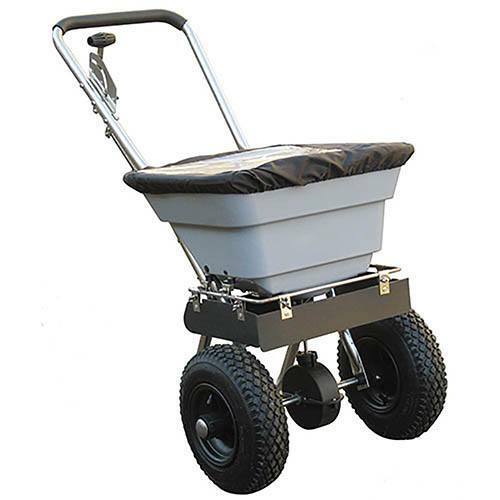 The perfect dual-function spreader, The Handy 80lbs Salt & Fertiliser Spreader can be used both to efficiently distribute fertiliser in your garden in the spring and the autumn, or to keep your driveways and pathways clear of ice in the winter when used with salt. The Handy Salt & Fertiliser Spreader has a huge capacity of up to 36.5kg or 80lbs and will produce a 10 to 12 foot spreading width. This large width will get the job done quick and easy with very minimal effort involved – simply push the spreader along and control the release with your hand. 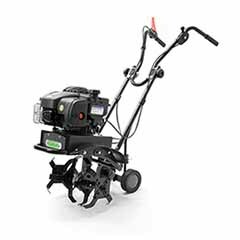 Its heavy duty, stainless steel frame and large pneumatic tyres are tough and durable and allow for easy manoeuvrability even over rough lawns and terrain. So make light work of manual jobs with this simple to use, reliable and efficient fertiliser and salt spreader.